In the world of Autism, Dr. Temple Grandin is a legend. She has singularly contributed more to science’s knowledge of autism than any other one individual. There’s a reason she’s #23 on Time’s list of 100 Most Influential People… and that Hollywood is producing movies about her. this year we visited you for the second time (2008 und 2009) with our son Feyzi. At first we were quite sceptical but at the same time we had great expectations. Would Feyzi benefit from the therapy or not? 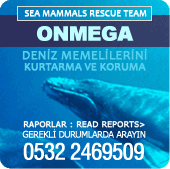 For both of the stays in Marmaris with you we would like to thank you with this Mail for the professional but also friendly support you gave us. We have written you a mail as promised! We are the Himaduna family and we were with our little Meridian in Marmaris! 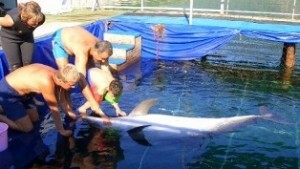 Meridian is autistic and we were most anxious about whether he would accept the company of dolphins! Hello everybody, I want to write something about a very short therapy-2 sessions- we had last summer. My son Doga is 10 years old, autistic and hyperactive.